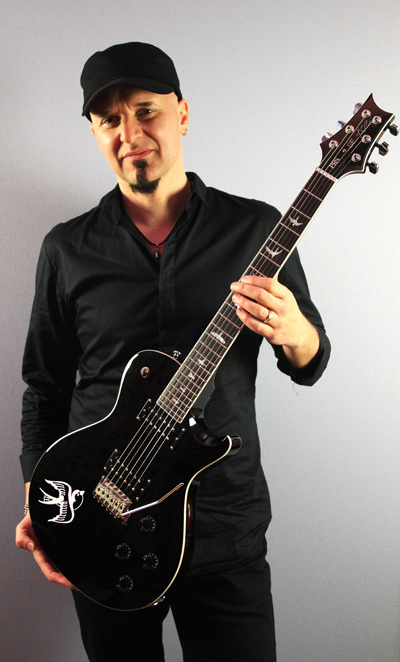 New Ace (Skunk Anansie) SE Signature – exclusive to Europe! A long-standing PRS player (he’s been playing them for 15 years), Skunk Anansie’s Ace has worked with PRS Guitars recently to come up with this fantastic rock beast – his limited edition SE signature model. Just 180 of these guitars will be available, in Europe alone..
Modelled on Ace’s favourite, customised US Singlecut guitars, his SE guitar gets a full-depth solid mahogany body and bevelled maple cap, teamed with his choice of SE 245 pickups to give the guitar a classic blend of modern and vintage tone. Other key features include Ace’s favourite Wide Thin neck carve, 25” scale length, 22-fret mahogany neck with rosewood fretboard, old school birds inlays and smooth, stable PRS tremolo system. 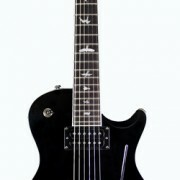 The guitar even comes with a swallow-in-flight sticker (as seen on Ace’s own Singlecut) in the included gigbag! Ace will be using this guitar on-stage – it’s that good – and you can get an idea of what it’s really like in our exclusive video with him here. http://www.prsguitarseurope.com/wp-content/uploads/2015/05/Ace-Guitar-White-Background_250w.jpg 655 250 Kieran Morgan http://www.prsguitarseurope.com/wp-content/uploads/2014/06/340-300x137.jpg Kieran Morgan2015-05-19 18:44:452015-05-19 18:44:45New Ace (Skunk Anansie) SE Signature - exclusive to Europe!